Come have food and fun while supporting some great causes. Check our calendar for the dates and locations! 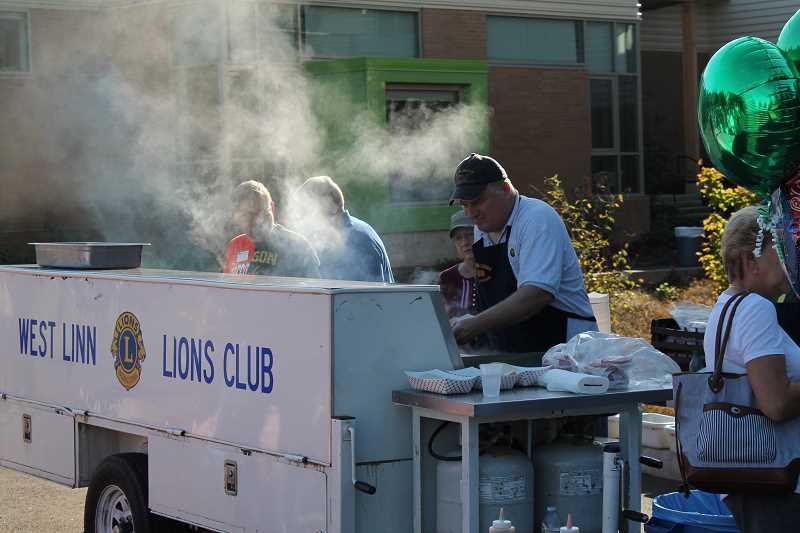 The West Linn Lions Club has been serving the needs of the West Linn community since 1953. Our motto is "WE SERVE". Our goal is to make West Linn a better place to live. We are best known for our "Lion Burgers". 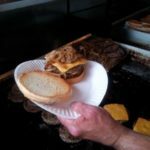 Generations have enjoyed our grilled burgers at community events and at several local grocery stores throughout the summer and fall. It is one of our majors sources of income. Check out the Calendar page to see where we will be serving those "Lion Burgers" next. SO...WHAT DO THE LIONS DO WITH THE MONEY? Shoes for Kids - provide shoes for elementary and middle school children in need. Provide 6 Scholorships for WLHS Seniors totaling over $6000 yearly. Provide the US Flags on Hood Street - Boy Scout Troup puts them up and takes them down. And much, much more. See our Club Projects page.